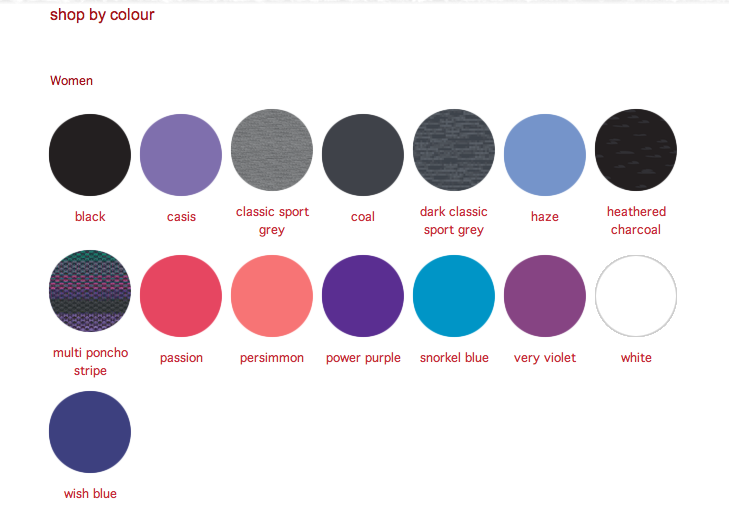 Looks like Lululemon just added the Winter 2010 Color Chart online. I’ve loved Wish, Very Violet, Power Purple and Haze and don’t think I’ll ever get tired of those colors. I’m glad they added the Multi Poncho Print in this group, I don’t think they’ve done prints on the color charts in the past. I wish they would always add in the prints to the color pallets because googling for prints is really the only way to find them and I’ve often wished Lululemon kept a catalog of prints on a Flickr album. "New Print in the Speed Shorts"